Make Every Round More Fun! Start a Tour Golf Revolution™ tour today and add some competition to your golf game. Get your friends involved for a fun season-long competition. Check out our Demo page to see what you'll experience! Unique Week-Long Events, So EVERYONE Can Play. 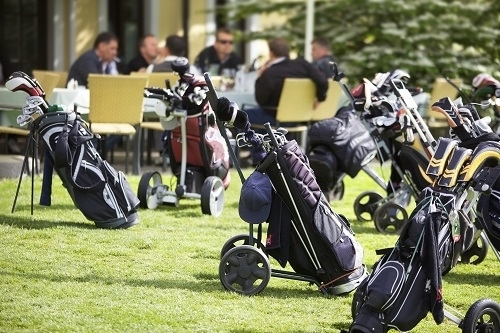 Flexible scheduling allows all your golfing friends to get in on the action. Play any day during the event window on the designated course and have it count towards league play. The 19th Hole is Even More Fun on Tour! There is nothing better than celebrating your winning round or classic flub with your old and new friends on tour. Traditional golf leagues require you to play on a certain day and time every week. We have introduced a more flexible playing format that allows golfers to play their rounds on their own schedules. Our events last from one to four weeks long. So, play any day of the event window with another member of your league and it counts. Whether you play once a month or every week, you will always be playing to win. Start your own exciting TGR golf tour. It's as easy as setting up an office pool. We give you all the tour management tools you need and personalized assistance from our founders so you can create a great "league of your own". Each week is an event that anyone can win based on their play on the designated course. Just as on the PGA Tour we can help you create majors and other key events to make the season even more enjoyable. Win an event, a major, maybe the season championship. TGR will keep track of it all. Nobody wants to play the same course all the time. By creating your own local schedule of events everyone on your tour can play a wide variety of courses during the season. Playing a traveling schedule gives you the feeling of being on Tour. The only thing better than beating your friends on the course, is celebrating with a drink at the 19th hole afterwards. A TGR Golf tour will add golfers to your network of friends and and add more golf events to your social calendar. Play the designated course whenever your schedule allows and have your score count for that event. With more days available to get that round in, you are much more likely to play. Trust us! Handicaps allow players of all skill levels to compete against the rest of your tour. Anyone shooting well below their average in a given week has a good shot to win the event. Plus, even if someone can't play regularly, any time they do show up there will be something to play for. With TGR, golfers of all abilities can join your tour and have a blast! The founders of Tour Golf Revolution have been running a successful TGR tour for the past 12 years. Our members have so much fun that we wanted to bring what we have learned to you. The key is using technology to run the league, not a league manager. Sure you still need someone to make a few decisions, but we are here to help you make them and the system will take it from there! Sign up for membership and make a few easy decisions that will set the main rules for your Tour or simply opt for our basic rules. 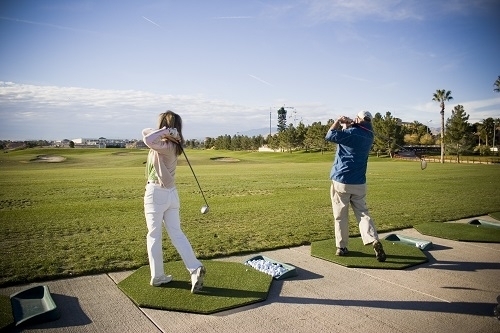 Choose your home golf course and answer a few questions to set up your first season schedule. Our custom algorithm will then create your entire season event calendar, and don't worry, you can make changes any time you like. Invite your friends to join your tour via e-mail, facebook, twitter and any other social tool. Just as with online office pools your tour can grow through your social network as friends also invite friends to join. Play better golf: The focus and consistent play of competition will lower your handicap. More options to play: Play on your schedule with a larger group of like-minded golfers. Play more golf: Being on tour provides motivation to get out and play every week. Win a major: Experience the feeling of playing in and winning a major championship on your tour. Watch your progress: Track and compare your game performance over the season and your playing career. 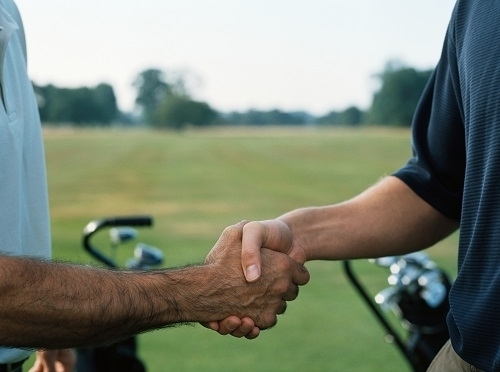 Make new friends: The tour will bring you together with golfing friends of friends you may not know you have. Anyone can win: Using full handicaps, everyone has a chance to win an event. "Because it's more fun to compete 'on tour', I've gone from golfing once or twice a year before TGR, to nearly 20 times this past season." "I dropped from a 25 handicap to an 18 handicap in 7 months. It’s amazing what a little competition will do to your work ethic. I was now practicing and playing with a purpose. This website has absolutely changed the way I approach the game.."
"I have never had a more enjoyable spring, summer and fall then I did last year." 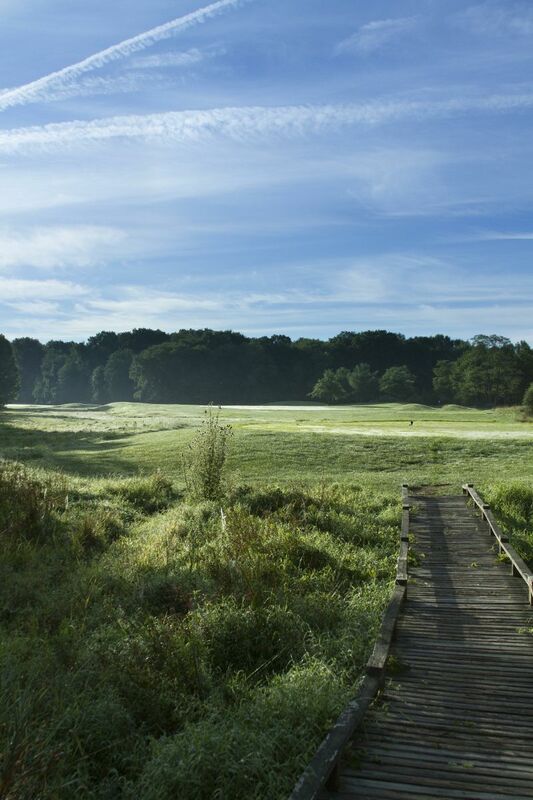 Tour Golf Revolution™ is based on a highly successful golf league format developed and perfected by a group of public golfers who have been playing together in the Greater Princeton, NJ area for over 12 years. The group plays a 30 week rotating schedule on over 14 different golf courses. Many who have joined the tour have found that they have doubled or tripled their rounds played and gotten much more enjoyment from their game than ever before. Now we want to bring that same enjoyment to you. We hope you will join us.